D-Max photography taliors residential architecture photography to builders, designers and architects. Wether it is display Homes photography, custom designed homes or renovations they are all photographed to the highest quality taking in years of experience for usage for magazine editorials, press advertising, brochures, web or awards. Built by exclusive Builders Zorzi South in Western Australia's South West. Commercial Photography covers a wide range of projects from skyscrapers, to commercial corporate interior fit-outs to architecture for education, aged care, health care and public spaces. Low rise and high rise apartments photography. Both interior and exterior photography under all conditions cam be arranged from early stages of construction to the finished product for all advertising, promotion and award usage. Award winning Adara apartment building in success, with core construction in 10 days. 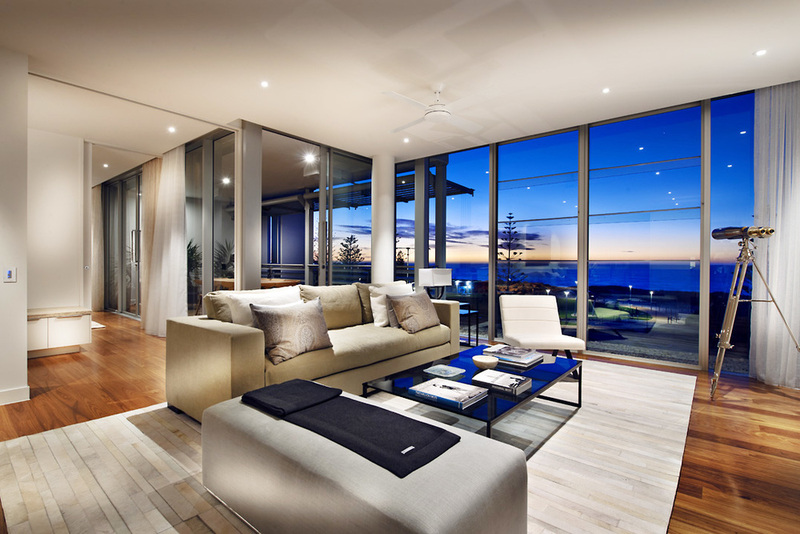 Mirvac Beachside Leighton apartments with stunning beach views. D-Max Photography documents hotels and resorts both nationally and internationally to the highest standards. Preparation, art direction. stylised lighting, timings, and post production all play major rolls in hotel photography to produce the highest quality photography of the Hotel Industry. Frasers Suites Perth hotel overlooking the swan river. Hospitality photography covering all aspects of hospitality industry to showcase a venue, restaurant, bar or club for advertising, portfolio or award usage. 88 Noodle Bar located at Crown Perth. Retail photography is new and refurbished shops covering all aspects of retail including banking, clothing, furniture, products and food stores are all covered showcasing each brands unique design, lighting and feel. Michael Hill Jewellers new Perth CBD store. With a specialised area of photography like Boat Photography comes it's own challenges from high speed aerial photography to styalised lighting and unique ways to photograph and style boat interiors. Luxury Motor Yacht and superyacht photography can be arranged at any destination. 40.5m Crowther designed Australian built Superyacht Zenith. Luxury boat builder Princess Motor Yachts dusk photoshoot. Sunseeker 80 shot of the coast from Fremantle harbour. From small to large scale advertising campaigns, D-Max photography works closely with art directors, stylists and retouchers to provide high quality imagery. From Food Photography, studio product photography to lifestyle and still life photography. D-Max Photography covers all areas of Commercial and industrial photography including photography on construction site to mine sites to corporate portraits. Remote locations to working factory sites and mines.